Project detail: As part of a competitive tender 2h were selected to maximise the storage capacity for this Sunderland based company. The primary objective was to ensure that loads of up to 3000kgs per level could be stored but also the racking needed to accommodate oversized pallets with a much lighter UDL. 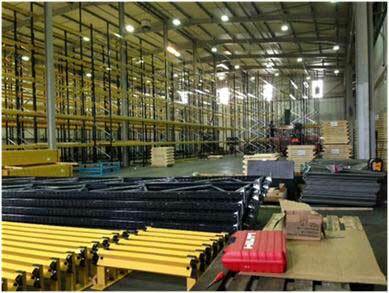 2h Storage completed a number of site visits and talked to the end users on the ground in great detail to understand the daily requirements of the pallet racking system. This attention to detail helped 2h storage secure the contract and install not just a system that delivered more pallet positions than the competition but also a safer system due to the correctly designed spreader plates installed to help spread the significant bay load. 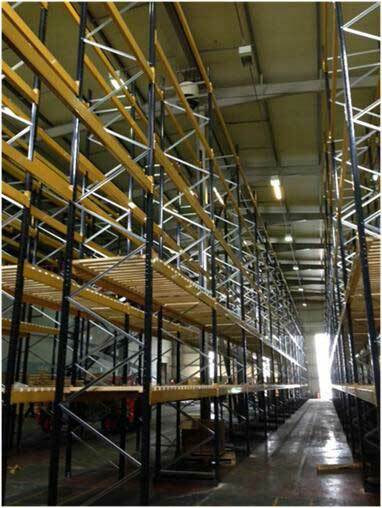 The initial phase of the project was to dismantle the old racking system, complete the required modifications so that it could be utilised elsewhere on the site. We then unloaded all 5 wagons on racking and 3 wagons on timber decks. 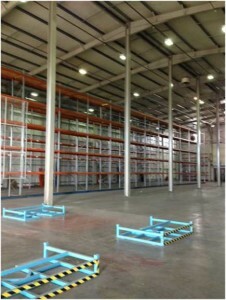 The pallet racking installation was completed by 6 of our professional installers over a 2 week shutdown period. Steel PFC’s were fitted under all frames to help spread the bay load. 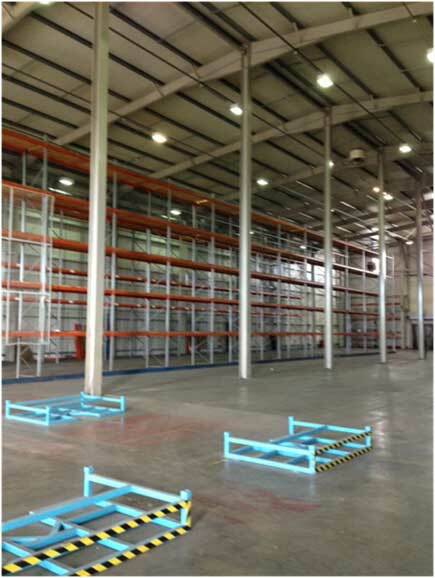 Rack End Barriers were fitted to protect all rack ends and transfer aisles. 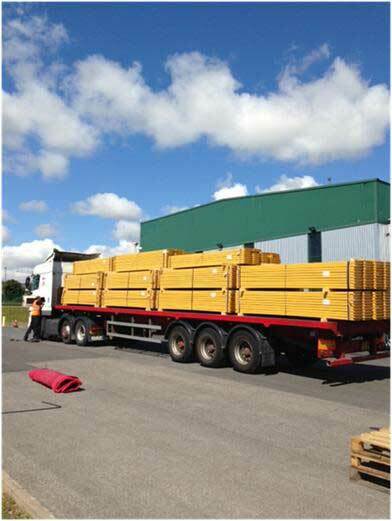 Rough Sawn Open Boarded Timber Decks were fitted to all beam levels allowing any pallet to be stored in any position.